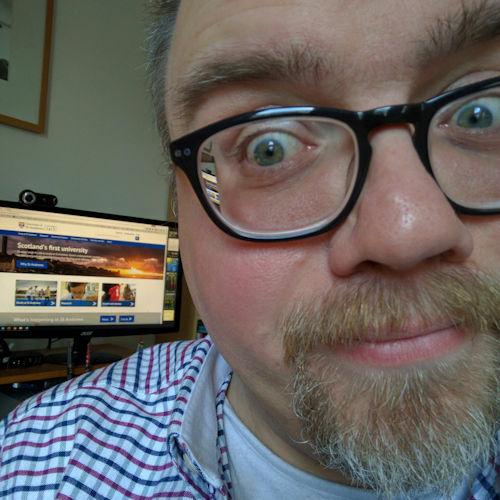 Over the last few months in the evenings and at weekends, I’ve been working on redesigning the Pittenweem Properties website for friends here in Anstruther. The site launched a couple of weeks ago. 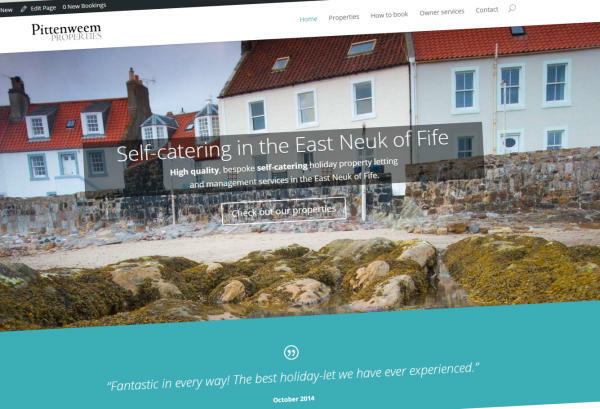 Pittenweem Properties offers high-quality self-catered holiday accommodation and property management services in and around Pittenweem. They currently manage properties in Carnbee just outside Anstruther and Pittenweem. But their portfolio is growing and for good reason — the properties they own and manage are to a very high standard and in a beautiful part of Scotland: the East Neuk of Fife. The site was quite fun to build. We used Trello for communication and project planning, WordPress (of course!) as the content management system, and the Divi theme from Elegant Themes which allowed me to very quickly design and build the site. I also changed the built-in projects custom-post-type to properties using the method I blogged about in March: changing the Divi projects custom post type to anything you want. Submit booking requests via form. Display anywhere (on page or within widgets) using a shortcode. Customisable display features, including splitable legend for check-in and check-out). If this plugin had also allowed online payments, say via PayPal, then it would have been absolutely perfect but as it is we’ve been really happy with the functionality and usability of this plugin. There is a free version of the plugin, but it offers only one calendar and has customisation limitations. The premium version costs only US $34 (approx. GBP £21.50). While the site is now live there are still a few bits and pieces to do, such as keep an eye on analytics data and try to improve search engine rankings. Websites are never really finished, are they? It was a fun project to work on. Time to focus on optimising family finances and admin, and cracking on with writing my book.